After a series of curious events, I’ve become interested in — button hooks. The elements for a new short story are falling into place and this Victorian item figures to play a prominent role. As it usually happens in my creative process, I didn’t find the button hooks. They found me. It began with a conversation centring on an animated painting by Amanda Nedham, the focus of which was lost histories, obsolescence and the Industrial Revolution. How could I weave related ideas into a short story with ‘high concept’? I’m still working that out, but in the meantime, I ‘ve been thinking about people whose livelihoods were eliminated by emerging technologies. I’ve been simmering that idea. A neighbourhood acquaintance showed me some treasures unearthed during an excavation on their property. 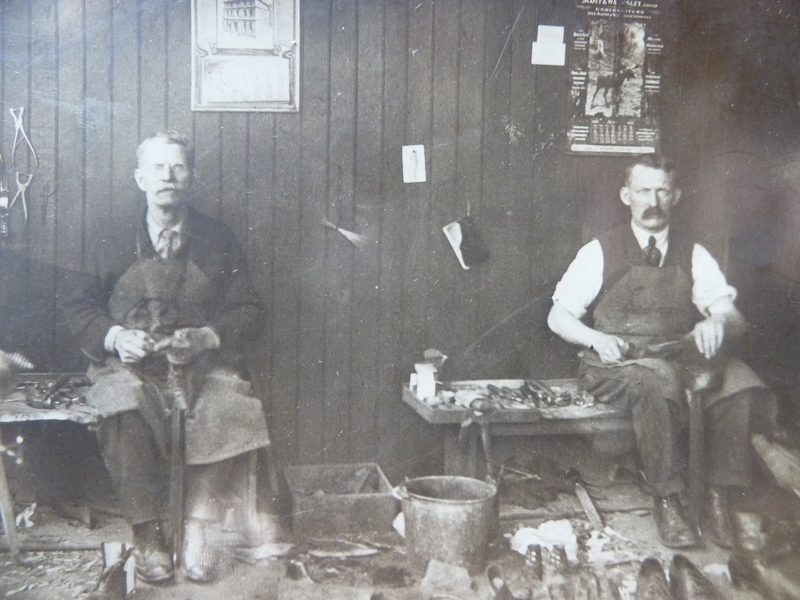 The shovels had revealed an old hammer and some prescription bottles from the 1800s. Also turned up were a child’s pair of black lace-up boots. The layers of leather that had been cut and nailed together to form the heel, were now curling up at the edges. At the time, I thought, how interesting and ironic. Weeks earlier, I’d visited a friend whose ancestors owned one of the earliest tanneries in our area. Her great uncles had been shoemakers in Toronto. In another twist, one of our children introduced me to an online search site called Stumble. There, I discovered a video about a group of young designers who applied themselves to creating an button fastener that would allow an elderly man with limited dexterity to button his own shirts. This past weekend, my inlaws visited. During our chat, I mentioned the creation of the button fastener, thinking it to be such a novel item. My mother inlaw’s eyes lit up as she recounted her own story of the buttonhook. 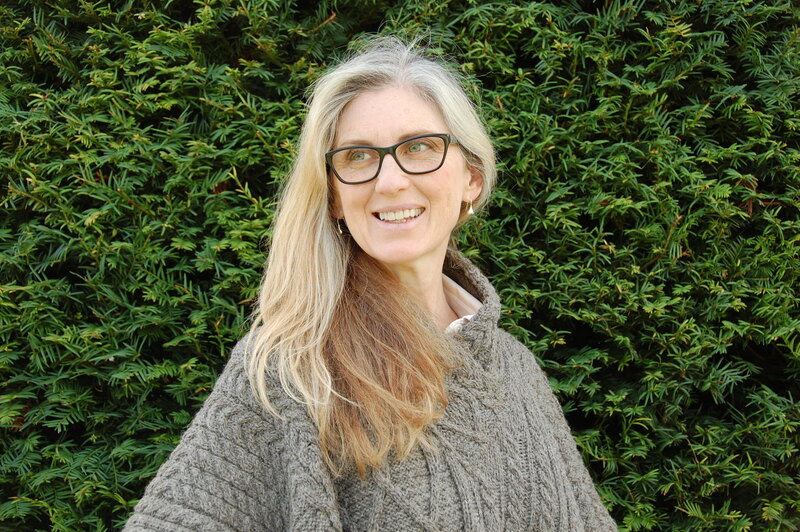 When she was a child in the Netherlands, her grandmother used a button hook to do up her shoes. Although she was a child at the time, my mother in law required a button hook as well to do up her shoes. There was on nail on the wall from which the button hook was meant to hang. Every time someone needed to put on or take off a pair of boots, the hook was no where to be found. The answer to this problem was the chatelaine, from which several useful items like hooks, sewing and writing implements could be suspended. The chatelaine was pinned or hooked on the waistband. A bit of research turned up some interesting facts. Women’s leather boots were crafted from soft leather that hugged the ankle for a feminine shapely fit. 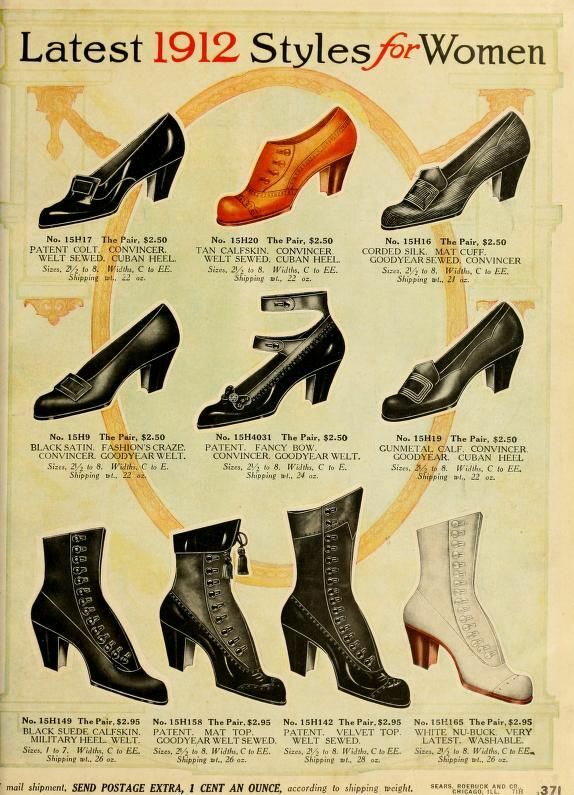 The popularity of tight fitting corsets made bending over to button a shoe very uncomfortable. 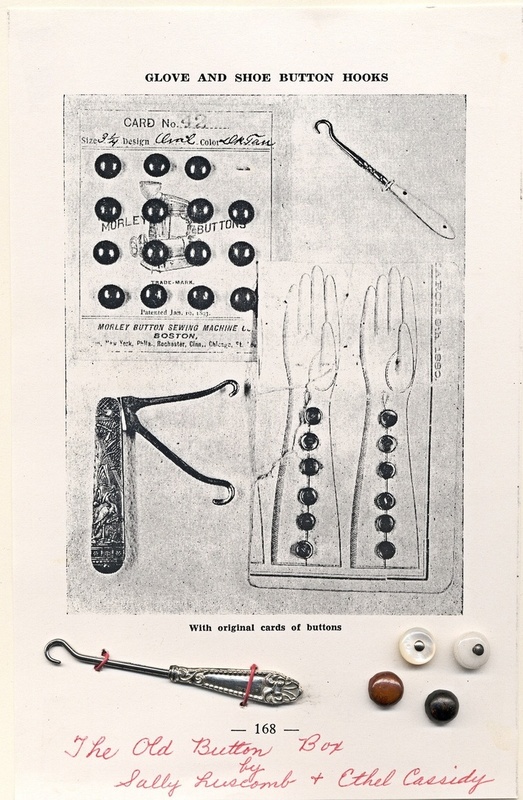 Button hooks were typically 3 to 12 inches in length. The user would push it through the button hole to where it would hook a button and be pulled back through the hole. Button hooks were also useful for doing up the rows of tiny blouse buttons that often ran from neck to hip. Victorian women were very fond of their gloves which, being snugly buttoned, required a hook as well. The demand for high buttoned boot for women fell by the wayside. Leather shortages during the First World War contributed to their passing popularity and demand for button hooks dwindled. I’ve enjoyed my foray into the world of button hooks, but alas I must run off. There is a story to be written! Do you have a story to share? Perhaps an anecdote or some trivia? Really interesting stuff, Gwen. It seems like you’re kind of a magnet for and a weaver of interesting things. Well, I’ll embrace that description Beth. Thank you so much. I think that the universe does deliver. I just try to stay open and wait for a long line of dots to connect. Nothing happens by accident, I always say. For everything, there is a reason. Cheers! It’s the details in a story that make it jump to life, and these objects make for a curious and fascinating glimpse into the Victorian lifestyle. Love the Chatelaine. So many clues to the past, and so elegant as well. You can picture the ladies with their gloved hands, teacup perched in one hand, passing gossip and finger sandwiches around their small upscale circle, chatelaines clinking gently at their waist. You are a writer after my own heart! What a lovely picture you paint. 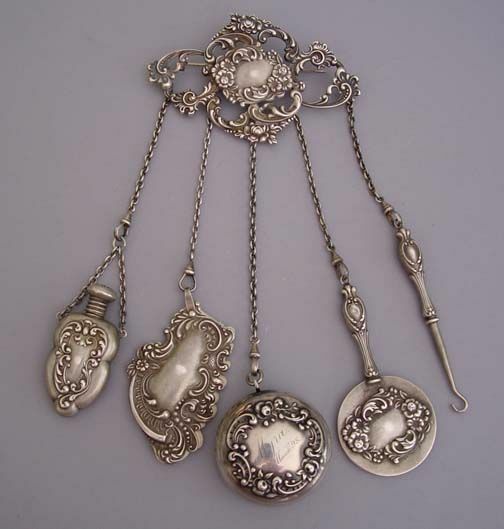 In the historical setting of your novels, Sally, did the women wear something akin to the chatelaine? Not Aramanda. .She is a princess, and everything is taken care of for her. But definitely for Abbey and her ladies. They are at the ready. Hi Gwen! I really like the post! Do you have any contact information for the “Stewart family” that you mention after the shoemaker photo? I would really like to come in contact with them with a few questions regarding the picture! Hi Jonas. Thank you for taking time to write. I do have contact with someone from the Stewart family. If you’d like to forward your email address, I can pass it along. You can write me at: gwentuinman@yahoo.ca. Are you collecting research or do you share a general interest in the topic? Hi! Thanks for you answer. I would like permission to use the picture for a project that I’m working on. I will write an email to you!